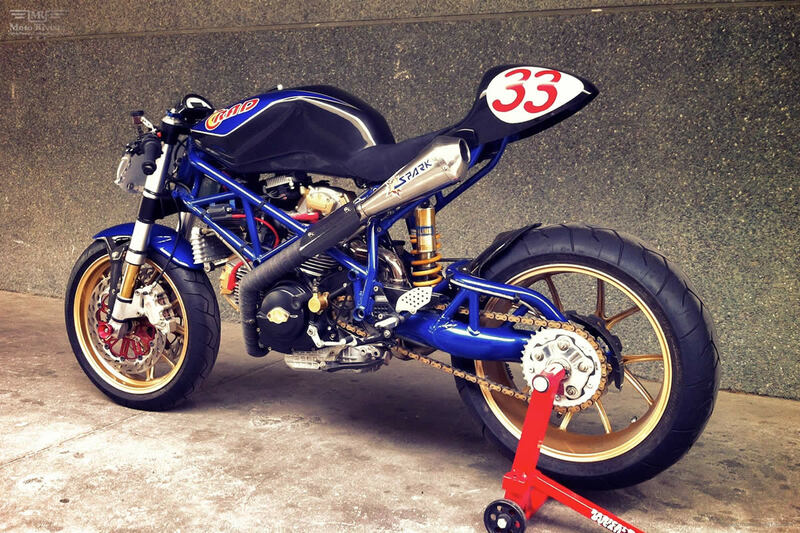 When I look at Radical Ducati’s custom RAD02 Imola Punto Due, I think the Italian manufacturer Ducati may need some lessons from Spanish custom motorbike builder Pepo! So far I have seen a few classic transformations of Ducati bikes but this RAD02 Imola Punto Due is out of this world. 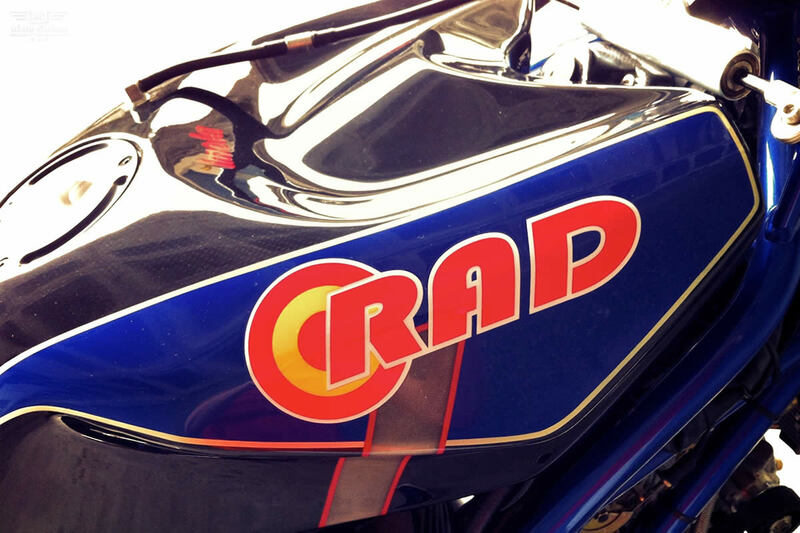 If Gods ride Harley than Pepo’s RAD02 Imola should be the Devils ride. 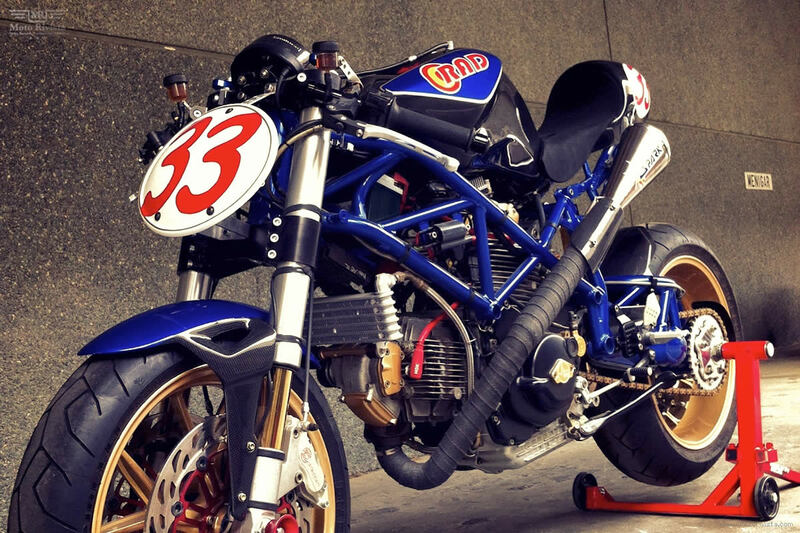 Spanish customizer Radical Ducati has mastered the art of custom Ducati’s with each bike built in Pepo’s garage pushing the limits of performance and style. This two-wheeled Devils ride is built around a Ducati 900 SS engine, bolted on to the RAD02 Cromo Molibdeno frame. 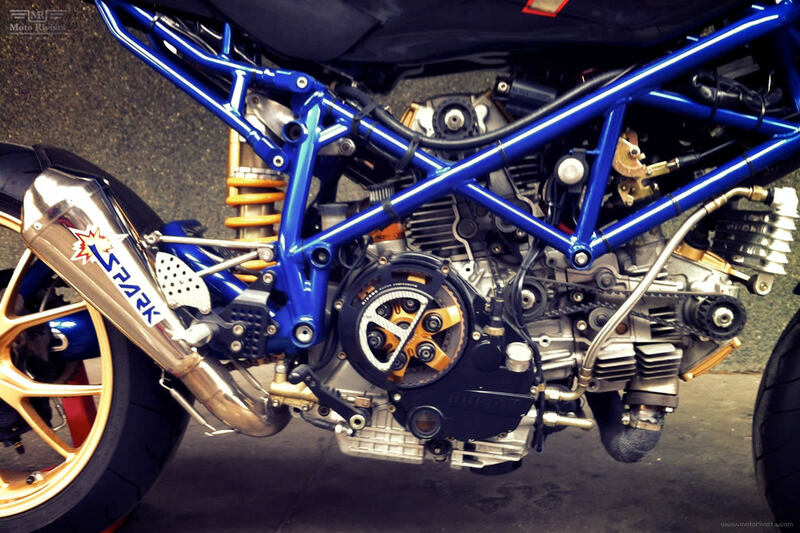 The rear swingarm belongs to a Ducati Monster S2R and has a RAD02 aluminum rear subframe. 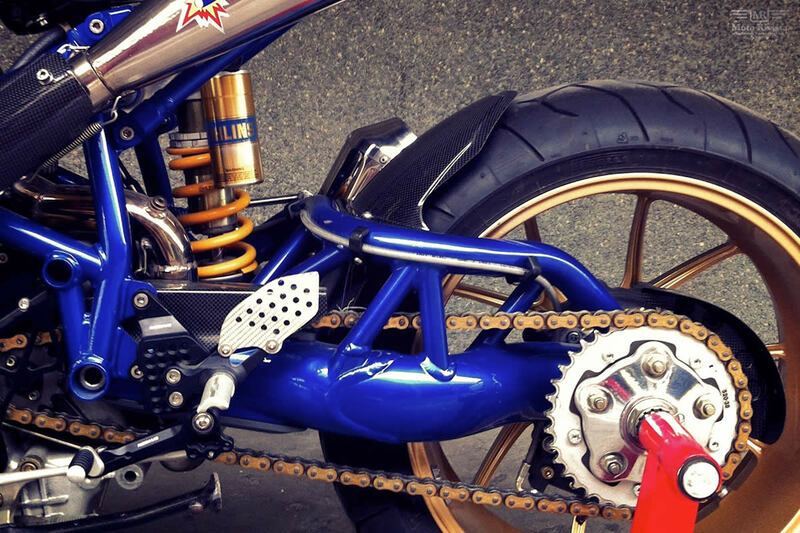 At the front this Rad02 Imola features Rad Ergal triple bridge yoke, Aviacomposite dashboard and Sp Ergal clip-ons fitted with 749S Showa front fork. At the rear the bike includes Ergal Rad Mv type rear suspension and a WolfMan independent exhaust line. The fabrication work includes RAD02 Cafe Racer fuel tank, a carbon fiber solo seat, RAD carbon fiber front and rear mudguard. The use of carbon fiber is pretty standard for all custom Radical Ducati bikes. The finished RAD02 Imola Punto Due rolls on Ducati Monster S4Rs Marchesini wheels assembled with Discacciati rotors, calipers and Discacciati clutch and braking system. As I mentioned before Gods may ride Harley but this one belongs to the Devil for sure! 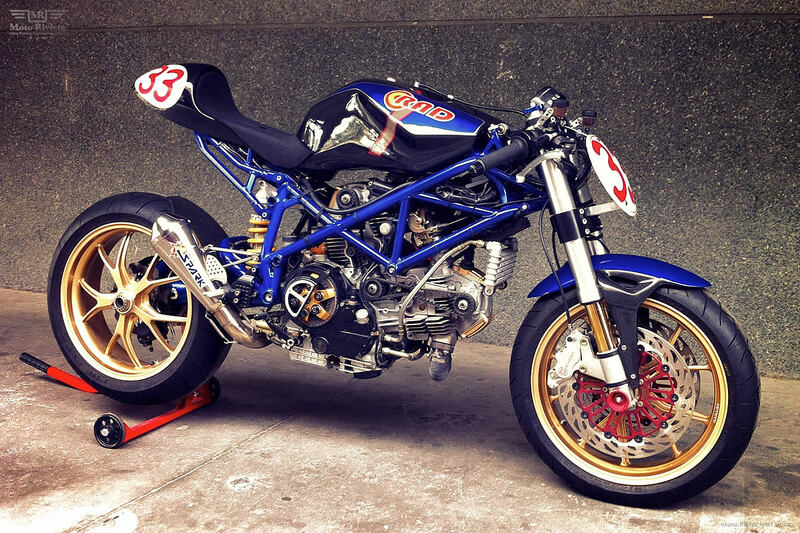 Check out the other featured bikes from Radical Ducati.